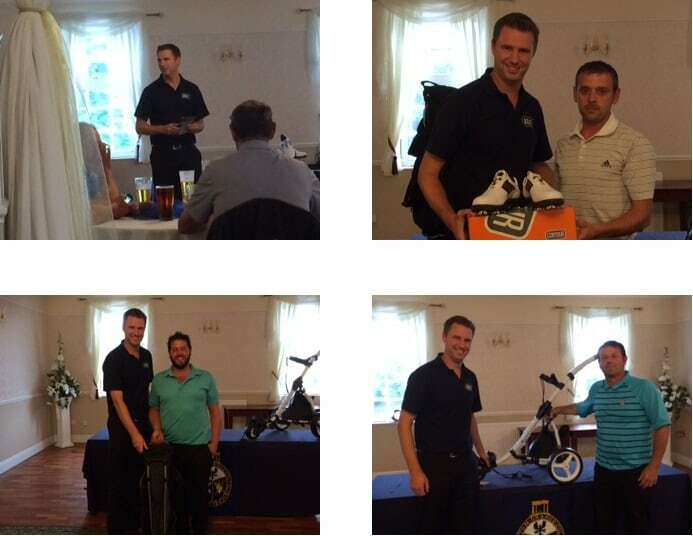 Friday 24thJuly saw the hosting of the annual Frank Key Customer Golf Day at Ruddington Grange Golf Club, supported by Polypipe Building Products. A fantastic day was had by all who attended, despite persistent light rain for much of the day. Over 90 customers played in this year’s event, which is held as a thank you for our regular customers, with only a handful not completing their rounds due to the wet conditions. Despite the rain, it was ideal for golf, as the course was in excellent condition and the wind was light, resulting in some fantastic scoring. Whilst the day is designed as a relaxed, fun day, giving the opportunity for customers and staff alike to mix socially, there were prizes for the best scores on the day, with a nearest the pin (won by Matt O’Keeffe) and longest drive (this year won by our director, Erica Sansom). The winning score was an excellent 44 stableford points, by customer Keith Peach (handicap 17), in second was Danny Humber with 40 points and in third place was Ryan Hemt with 39 points. We look forward to holding the event in 2016, hopefully with a day of sun rather than rain!